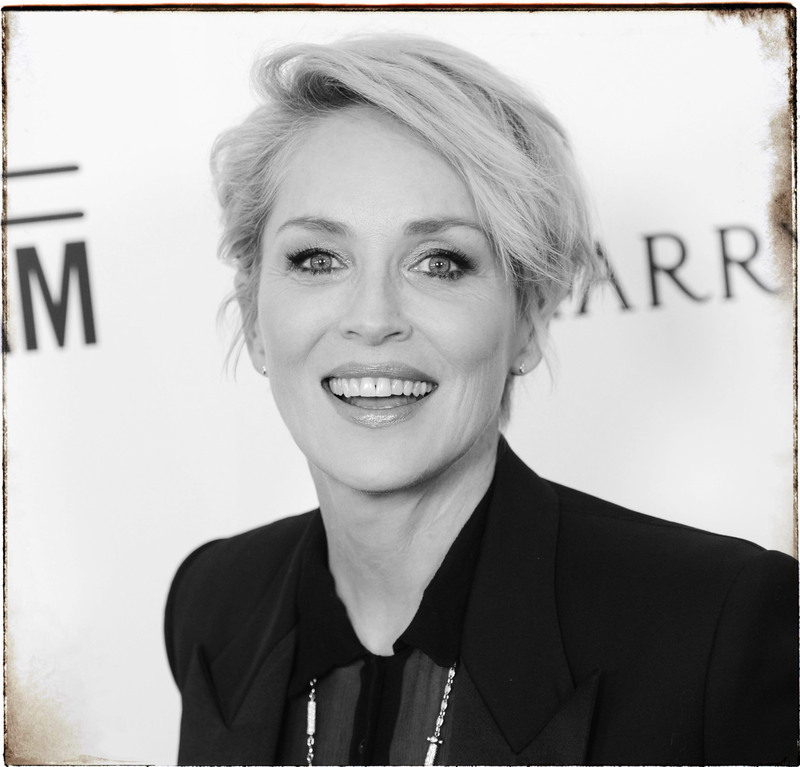 WASHINGTON, D.C. -- Renowned actress and humanitarian Sharon Stone will receive the 2016 Service to America Leadership Award from the NAB Education Foundation (NABEF) for her ongoing commitment to raising awareness and support of AIDS research, prevention and treatment. Stone will receive the honor at NABEF�s Celebration of Service to America Awards on June 21. The Service to America Leadership Award recognizes individuals and organizations responsible for improving the lives of others through extraordinary public service. Considered NABEF�s highest individual honor, the award will be presented during the Celebration of Service to America Awards held Tuesday, June 21 at the Andrew W. Mellon Auditorium in Washington, D.C.
Stone began her career as an international print model and network television actress and in 1980, she debuted on the big screen in Woody Allen�s �Stardust Memories.� In 1992, she starred in the blockbuster �Basic Instinct� and in 1995, she earned a Golden Globe Award and Academy Award nomination for her role in Martin Scorsese�s �Casino.� In 2015, Stone starred in the TNT drama series �Agent X� and most recently appeared in the features �The Disaster Artist,� directed by James Franco, and �Mosaic,� directed by Steven Soderbergh. In 1995, Stone began working with The Foundation for AIDS Research (amfAR), an international nonprofit dedicated to the support of AIDS research, HIV prevention, treatment education and advocacy of AIDS-related public policy. In her role as global fundraising chairperson, she has helped raise millions of dollars to support finding a cure, in addition to major treatment advances for pediatric AIDS care. In 2002, Stone was honored by the Human Rights Campaign for her contribution to combatting the epidemic. In 2013, she received the Peace Summit Award at the Nobel Peace Summit for her continuous humanitarian efforts. Additionally, Sharon and her sister Kelly founded Planet Hope, a foundation that sponsors diverse activities for homeless children and families of all ages and backgrounds. In 2004, Stone was awarded the Bollywood Woman of Conscience Award for her continued support of The Bridge Fund, a nonprofit that promotes sustainable economic development and cultural heritage preservation for the country of Tibet. After Hurricane Katrina, Stone co-wrote �Come Together Now,� which was performed by such artists as Celine Dion and Patti LaBelle. All sale proceeds directly benefitted those affected by the hurricane. This years� Service to America award winners are listed here. As previously announced, Southwest Airlines will receive the Corporate Leadership Award. More information about the Celebration of Service to America Awards is available here. News media interested in attending should contact Dan Lemle. The Celebration of Service to America Awards are sponsored and produced by NABEF with major support from the National Association of Broadcasters. In recent years, Gary Sinise; Paul Simon; Stevie Wonder; Glenn Close; Jeff Bridges; Quincy Jones; Sir Elton John; Bill Clinton; Laura Bush; Muhammad Ali; Jimmy and Rosalyn Carter; and Nancy Reagan; among others, have been presented with the Celebration of Service to America Leadership Award at the event. Details about the Celebration of Service to America Awards are available at http://www.nabef.org/events/sta/.